To celebrate the 40th anniversary of both Voyager 1 and Voyager 2, Williams Shift : We Were Wonderers will be 40% off for the next few days. The album is simultaneously an ode to Ted Williams and the cosmos, especially the Voyager spacecraft as they journey on beyond the edges of our solar system. Williams Shift Vinyl Has Arrived! 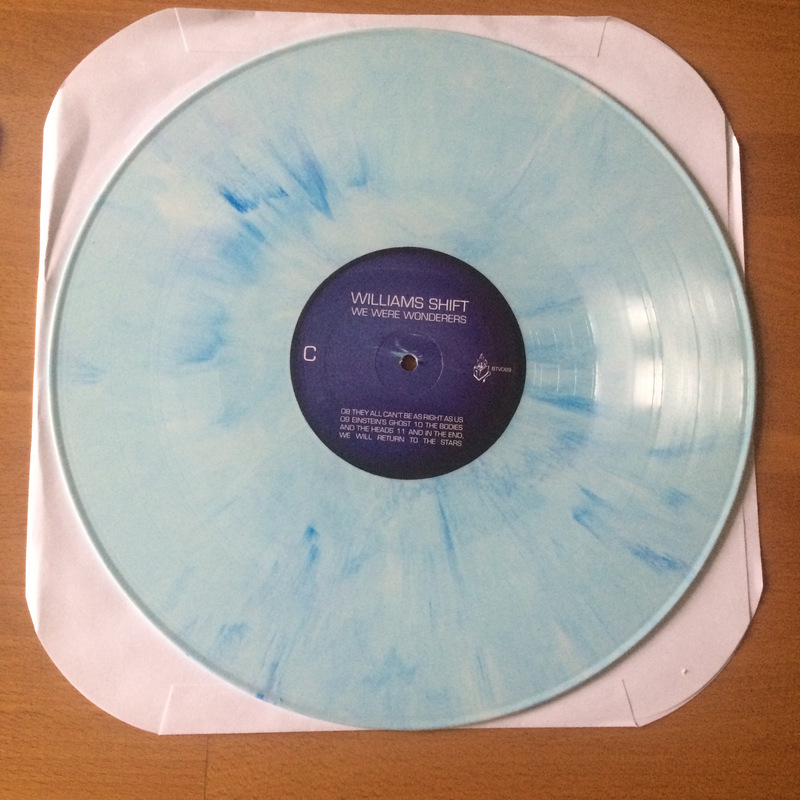 After what seems like forever in the queue at the pressing plant, the vinyl for Williams Shift : We Were Wonderers has now arrived. The A/B LP is blue with colored streaks. 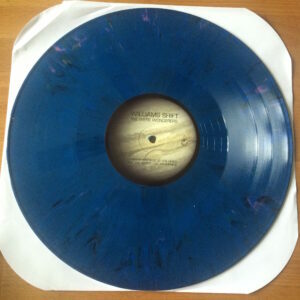 The C/D LP is white with blue streaks and has an etching on the D side done by our great friend John Ringhofer (Half-handed Cloud). All pre-orders are going out in today’s mail. For those waiting until it was a real product, order now at the online store! Here is the last song to stream from Williams Shift’s We Were Wonderers. It’s a mid-tempo track called “Tuning Into You (A Love Song From Voyager)” and features extensive lead vocals from Jill Purdy and supporting background vocals from Matthew Stone. A central theme of We Were Wonderers involves the fate of one Ted Williams’ head post-mortem. As Williams was nearing death, his son John-Henry, arguably against his father’s true wishes, committed him to be cryonically frozen. His body was transported from Florida to Arizona and the Alcor Life Extension Foundation mistakenly severed Williams head from his body and cryonically froze it. It’s more common to freeze just the head, rather than the entire body combined. In Williams case, the remaining decapitated body was also frozen. In exploring the Ted Williams mythology and its ramifications on the cosmos, Williams Shift imagines a future where cronically frozen heads are stored on satellites orbiting the Earth in near absolute zero temperatures. “Tuning Into You (A Love Song From Voyager)” furthers that idea and imagine two heads intertwining their thoughts and dreams, ultimately falling in love without bodies or hearts.The song also alludes to the distant Voyager satellite drifting across the galaxy, traveling farther and father away from its Earthly home and imagines it transmitting back to an Earth that has been long devoured by our sun going supernova. For some background information about Ted Williams’ head, head here (uh, no pun intended). Stream “Tuning Into You (A Love Song From Voyager)” through the embedded bandcamp link below, pre-order the digital release through the band, pre-order the 2xLP /cassette package, the 2xLP, or cd of We Were Wonderers from btv, and order the We Were Wonderers Instrumentals cassette from our good friends at Flannelgraph Records in Bloomington, IN or directly from btv. The instrumental cassettes are shipping now to all who order separately or the 2xLP/cassette package! cds have also arrived and will be shipping out shortly to all pre-orders!